It might be the 5th Wednesday of the month and there might be only a handful of decent comics hitting the shelves this week but at least we have Halloween to make up for it right? 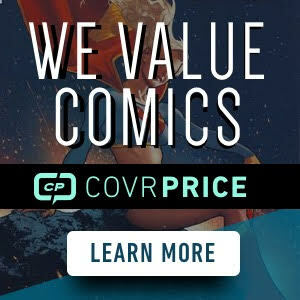 So we all know that 5th Wednesdays of the month are usually filler type weeks for most publishers (for those new to comics, now you know and knowing is half the battle). Most plan for the 4 week rotation for their books so with that said, let’s just see what’s worthy this week. Federici is nailing these Witching Hour covers. We saw a previous one turn into a nice double your money flip. 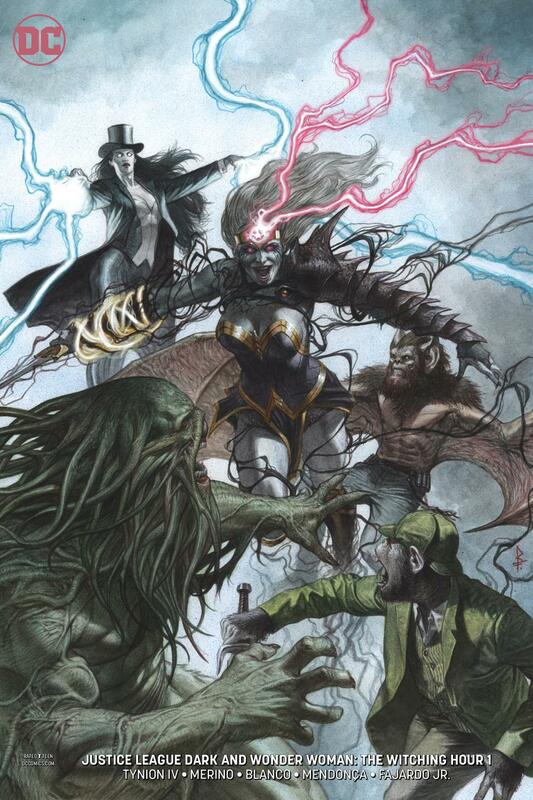 So this weeks pick goes to Justice League Dark and Wonder Woman Witching Hour #1 . This one has the same potential I think. With a $4.99 retail cover price, I doubt shops went too heavy on these so that might sweeten the deal if there’s any demand. Already selling out online at most retailers who have listed next weeks books already. 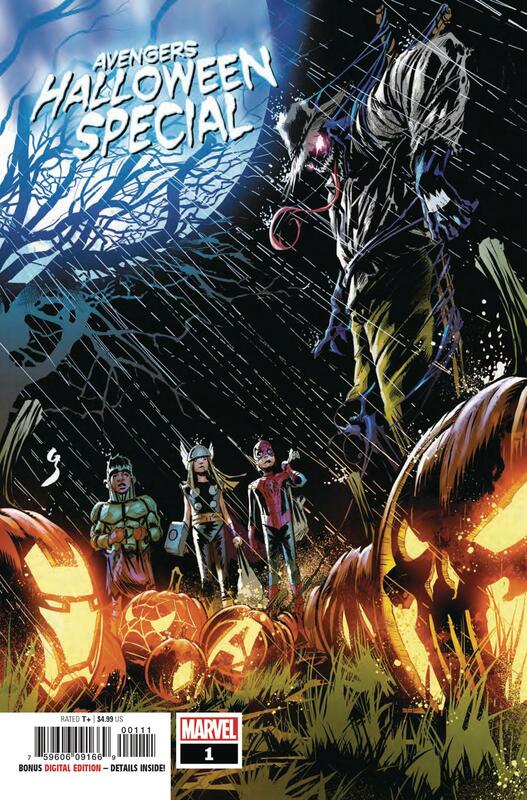 Not a whole lot going on with Marvel this week but the Avengers Halloween Special #1 got my attention just for the spirit of the new comic book day falling on Halloween. I really do like this cover though. Love the trick or treaters with the Marvel themed Jack ‘O Lantern’s. 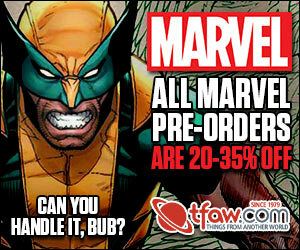 Also noteworthy, Jay Baruchel is making his first Marvel writing debut in this issue. If you’re not sure who that is, it’s Hiccup from How To Train Your Dragon. By all means I don’t expect this book to be a spec book or heat up, just good ol reading fun hopefully. This was kind of an easy pick. Issue #1 heated up. Issue #2 saw some success as well and already sold out or selling out online is issue #3. 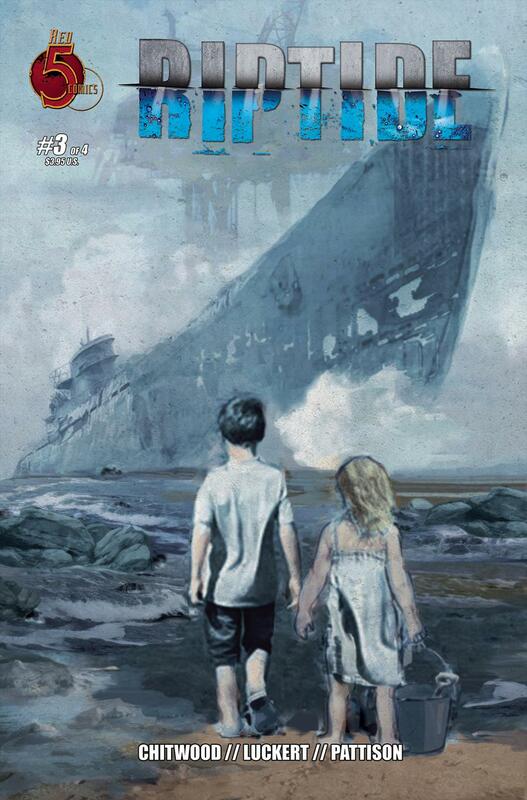 So this weeks indie pick goes to Riptide #3 . Red 5 Comics certainly have a hit on their hands, at least by means of selling out (I can’t judge based on the story since I have yet to read it, in fact my shops didn’t even get issue #1 so I’ll likely be reading it via Trade). I wouldn’t go too heavy on this one but still be on the look out for it. Could turn out to be an easy flip. It’s been a while that I think I’ve had a Image book in my spec list but this week is that strange cover yet I can’t stop looking at it. 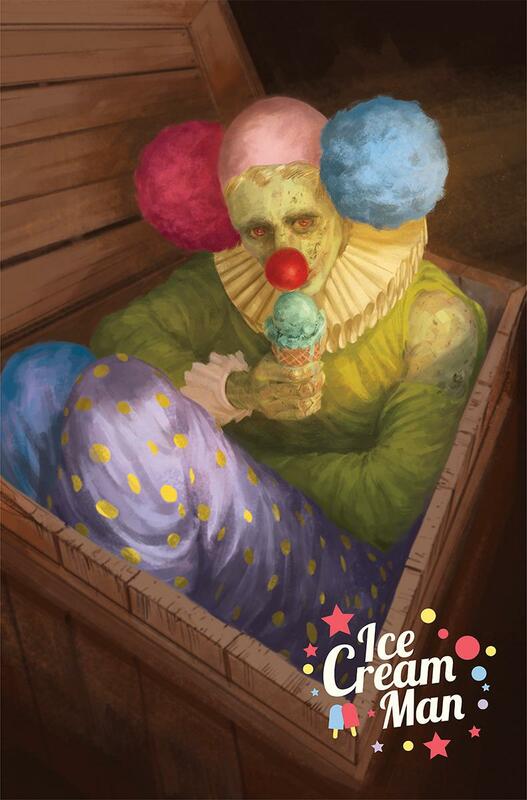 This week picks goes to Ice Cream Man #8 Cover B by Venesa Del Ray . We saw some early heat for Ice Cream Man for issue #1 well before the option was announced. This one might not heat up too much, but if it does, I’m predicting it could be a nice $8 – $15 book tops. But I’m always willing to accept some surprises as well. And just so you all know, clowns freak me out. There’s nothing happy about them. Even the nice ones are freaky and they should all die! More Spider books? Now we have Spider-Force and Vault of Spiders ? Pick a cover you like if you intend to read, ignore the rest. This is just too much. K’know, back when I was younger…The 1980’s/early 1990’s I never though there could be too many Spider-man books…But right now there really are a lot of Spider-books. I think my younger self would be like, whoa, time to slow down! Funny how perspectives change as you get older. If I was 10 again I’d think all these spider man books would be awesome until I realized I only had $1.25 and couldn’t buy all of them out this week.